Local cinema is full of #GirlPower. There is no one way to define being an empowered woman. Women CAN be strong and powerful in different ways. Our own local movie industry celebrates women's empowerment by creating nuanced but powerful female characters we can all learn from and be inspired by. Here are the 8 of them! Choice A or Choice B? How about both? 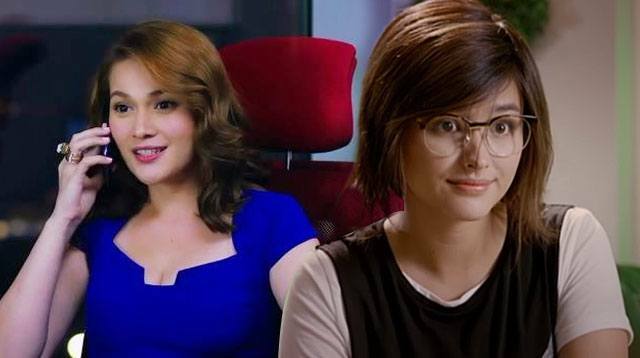 Amateur-cook-turned-famous-chef Anj Mendoza (Bea Alonzo) proves that while it can be tricky, you can have both a thriving career and an amazing love life. It is not without sacrifice, of course. But if you have an understanding significant other and you're both willing to put in the work to protect and grow your relationship, then you can have that dream job and your dream guy! Got a lot of hugot questions? Turn it into a successful blog! That's what Cali (Liza Soberano) did and she's proof that you can get back up and make something out of yourself after a debilitating heartbreak. Our OFWs are called Bagong Bayani for a reason! It's incredibly difficult to have to leave your family to work abroad, and to do it in an unfamiliar place where they speak a different language makes it even harder. Gara (Maine Mendoza) had to take on multiple jobs in Italy to help her family back home and she does her work with such a great attitude that she positively affects the lives of the people around her. Mia (Kathryn Bernardo) refused to be defined by a mistake she made back in college. She flew all the way to Spain to prove to her family that she can make them proud again. It was not an easy road as Mia was plagued with misfortune and a lot of rejection. But these failures did not keep her down for long. She kept trying until she got the hang of it, and even discovered new talents along the way! Bobbie (Bea Alonzo), second child of the Salazar family, always excelled in everything she chose to do. Her talent and go-getting attitude landed her in New York City where she became a big shot Communications Manager for a big company. She was often misunderstood by her sisters and labeled ambisyosa as if it's a bad thing! But truth is, at her very core is a loving daughter and sister who took on a job away from family so she could get them out of their financial woes. Who can forget Laida Magtalas version 2.0? Laida (Sarah Geronimo) started out as sweet, innocent, and always positive, until she got cheated on by her ex, Miggy Montenegro. But Laida, while scathed and hardened, came back stronger and wiser, with international publishing experience, and an accent to boot! The movie ended with the real Laida version 3.0, who was still stronger and wiser, but was also courageous enough to forgive and fall in love again. Transwoman Trisha (Paolo Ballesteros) did not have it easy. Rejected by her father and abused by people around her, she chose to stay true to who she was and followed her life's calling of being a beauty queen. And what a queen she became! The unforgettable Basha (Bea Alonzo) was in a long-term, seemingly perfect relationship but she wasn't happy and felt that she had lost her identity. It was painful and difficult but she had to choose to leave and find herself again, even if it meant losing her job and the love of her life. She teaches us that before we give of ourselves, we need to be whole first.